Kenneth Martin Follett, CBE, FRSL (born 5 June 1949) is a Welsh author of thrillers and historical novels who has sold more than 160 million copies of his works. Many of his books have achieved high ranking on best seller lists. For example, in the USA, many reached the number 1 position on the New York Times Best Seller list, including Edge of Eternity, Fall of Giants, A Dangerous Fortune, The Key to Rebecca, Lie Down with Lions, Triple, Winter of the World, and World Without End. Follett was born on 5 June 1949 in Cardiff, Wales. He was the first child of Martin Follett, a tax inspector, and Lavinia (Veenie) Follett, who went on to have two more children, Hannah and James. Barred from watching films and television by his Plymouth Brethren parents, he developed an early interest in reading but remained an indifferent student until he entered his teens. His family moved to London when he was ten years old, and he began applying himself to his studies at Harrow Weald Grammar School and Poole Technical College. He won admission in 1967 to University College London, where he studied philosophy and became involved in centre-left politics. He married Mary, in 1968, and their son Emanuele was born in the same year. After graduation in the autumn of 1970, Follett took a three-month post-graduate course in journalism and went to work as a trainee reporter in Cardiff on the South Wales Echo. In 1973 a daughter, Marie-Claire, was born. After three years in Cardiff, he returned to London as a general-assignment reporter for the Evening News. Finding the work unchallenging, he eventually left journalism for publishing and became, by the late 1970s, deputy managing director of the small London publisher Everest Books. He also began writing fiction during evenings and weekends as a hobby. Later, he said he began writing books when he needed extra money to fix his car, and the publisher's advance a fellow journalist had been paid for a thriller was the sum required for the repairs. Success came gradually at first, but the 1978 publication of Eye of the Needle, which became an international bestseller and sold over 10 million copies, made him both wealthy and internationally famous. Each of Follett's subsequent novels has also become a best-seller, ranking high on the New York Times Best Seller list; a number have been adapted for the screen. As at January 2018, he has published 44 books. The first five best sellers were spy thrillers: Eye of the Needle (1978), Triple (1979), The Key to Rebecca (1980), The Man from St. Petersburg (1982) and Lie Down with Lions (1986). On Wings of Eagles (1983) was the true story of how two of Ross Perot's employees were rescued from Iran during the revolution of 1979. 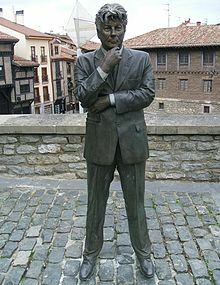 The next three novels, Night Over Water (1991), A Dangerous Fortune (1993) and A Place Called Freedom (1995) were more historical than thriller, but he returned to the thriller genre with The Third Twin (1996) which in the Publishing Trends annual survey of international fiction best-sellers for 1997 was ranked no. 2 worldwide, after John Grisham's The Partner. His next work, The Hammer of Eden (1998), was another contemporary suspense story followed by a Cold War thriller, Code to Zero (2000). Ken Follett with the German edition of his book Whiteout in October 2005. Follett returned to the World War II era with his next two novels, Jackdaws (2001), a thriller about a group of women parachuted into France to destroy a vital telephone exchange – which won the Corine Literature Prize for 2003 – and Hornet Flight (2002), about a daring young Danish couple who escape to Britain from occupied Denmark in a rebuilt Hornet Moth biplane with vital information about German radar. Whiteout (2004) is a contemporary thriller about the theft of a deadly virus from a research lab. Follett surprised his readers with his first non-spy thriller, The Pillars of the Earth (1989), a novel about building a cathedral in a small English village during the Anarchy in the 12th century. The novel was highly successful, received positive reviews and was on the New York Times Best Seller list for 18 weeks. It also topped best-seller lists in Canada, Britain and Italy, and was on the German best-seller list for six years. It has sold 26 million copies so far. On 16 August 2017, it was also published as a computer game by German developer and publisher Daedalic Entertainment. Its much-later sequel, World Without End (2007), returns to Kingsbridge 157 years later, and features the descendants of the characters in Pillars. It focuses on the destinies of a handful of people as their lives are devastated by the Black Death, the plague that swept Europe from the middle of the 14th century. The next novel in the series, A Column of Fire, was published in September 2017. Beginning in 1558, the story follows the romance between Ned Willard and Margery Fitzgerald over half a century. It commences at a time when Europe turns against Elizabethan England and the queen finds herself beset by plots to dethrone her. Follett's novels, Fall of Giants, Winter of the World and Edge of Eternity, make up the Century Trilogy. Fall of Giants (2010) followed the fates of five interrelated families - American, German, Russian, English and Welsh - as they moved through the world-shaking dramas of the First World War, the Russian Revolution and the struggle for women's suffrage. Fall of Giants, published simultaneously in 14 countries, was internationally popular and topped several best-seller lists. Winter of the World (2012) picks up where the first book left off, as its five interrelated families enter a time of enormous social, political, and economic turmoil, beginning with the rise of the Third Reich, through the Spanish Civil War and the great dramas of World War II, to the explosions of the American and Soviet atom bombs and the beginning of the long Cold War. The final novel in the 'Century' trilogy, Edge of Eternity, which follows those families through the events of the second half of the 20th century, was published on 16 September 2014. Like the previous two books, it chronicles the lives of five families through the Cold war and civil-rights movements. Follett has had a number of novels made into films and television mini series: Eye of the Needle was made into an acclaimed film, starring Donald Sutherland, and six novels have been made into television mini-series: The Key to Rebecca, Lie Down with Lions, On Wings of Eagles (1986), The Third Twin – the rights for which were sold to CBS for $US1,400,000, a record price at the time – and The Pillars of the Earth (2010) and World Without End (2012). These last two have been screened in several languages in many countries. Follett also had a cameo role as the valet in The Third Twin and later as a merchant in The Pillars of the Earth. In 2016, A Dangerous Fortune was also adapted. Follett is a member of various organisations that promote literacy and writing, and is actively involved in various organisations in his home town of Stevenage. Chair of the National Year of Reading 1998-99, a British government initiative to raise literacy levels. He is active in numerous Stevenage charities and was a governor of Roebuck Primary School for ten years, serving as the Chair of Governors for four of those years. On 15 September 2010, Follett, along with 54 other public figures, signed an open letter published in The Guardian stating their opposition to Pope Benedict XVI's state visit to the UK. Follett's archival papers are housed at the Saginaw Valley State University in Michigan United States. Papers include outlines, first drafts, notes and correspondence, original manuscripts and copies of early books now out of print. 2018 - Made a Commander of the Order of the British Empire (CBE) in the 2018 Birthday Honours for services to literature. 2013 - Made a Grand Master at the Edgar Awards in New York. 2012 - Winter of the World won the Qué Leer Prize for Best Translated Book of that year in Spain. 2010 - Fall of Giants won the Libri Golden Book Award for Best Fiction Title in Hungary that year. 2010 - Made a Grand Master at Thrillerfest V in New York. 2008 - Won the Olaguibel Prize for contributing to the promotion and awareness of architecture. 2008 - Made an Honorary Doctor of Literature by The University of Exeter. 2007 - Made an Honorary Doctor of Literature by The University of Glamorgan. 2007 - Made an Honorary Doctor of Literature by Saginaw Valley State University. 2003 - Jackdaws won the Corine Literature Prize in Bavaria. 1999 - Hammer of Eden won the Premio Bancarella Literary Prize in Italy. 1979 - Eye of the Needle won the Edgar Best Novel Award from the Mystery Writers of America. Ed Balls is the only Labour leadership candidate who offers a path to economic growth; his time at the treasury, with low borrowing and high growth, shows he is the true candidate of the centre in this leadership election. He is an amateur musician playing bass guitar for Damn Right I Got the Blues, and appears occasionally with the folk group Clog Iron playing a bass balalaika. ^ "Ken Follett Biography". IMDB. Retrieved 1 March 2016. ^ "Ken Follett - Master Storyteller and Best-Selling Author". ^ a b c "Ken Follett". WNYC. 7 December 2003. Archived from the original on 1 December 2008. Retrieved 28 January 2009. ^ a b "The early years ..." Archived from the original on 24 January 2009. Retrieved 28 January 2009. ^ Itzkoff, Dave (21 July 2010). "No Money to Fix Your Car? Write a Best Seller". The New York Times. Retrieved 22 July 2010. ^ "Follett, Ken | List Of Writers". www.literaturewales.org. Archived from the original on 13 April 2016. Retrieved 15 January 2016. ^ Fantastic, Fiction. "Ken Follett". www.fantasticfiction.com. Retrieved 2 February 2018. ^ Immelman, Greig Stewart, Martin. "Ken Follett - News & Views". ^ svetlanalasrado (23 September 2014). "Follett tweaks beststeller formula". ^ "Ken Follett". IMDb. Retrieved 15 January 2016. ^ "Ken Follett » Greater Talent Network Speakers Bureau". ^ "Charley Boorman's visit to young offenders". 19 February 2009. Archived from the original on 4 December 2013. ^ "The Electoral Commission (donations search)". Retrieved 19 August 2015. ^ "Ken Follett | Biography | Archives". Ken Follett. Retrieved 15 January 2016. ^ Multimedia, Spiral. "FUNDACIÓN CATEDRAL SANTA MARÍA KATEDRALA FUNDAZIOA - VISITS, MEDIA LIBRARY, PRESS, BLOG..." Archived from the original on 18 February 2012. Retrieved 4 December 2013. ^ "MP Follett to repay largest sum". BBC News. 4 February 2010. Retrieved 22 July 2010. 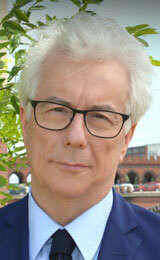 ^ "Ken Follett | Biography". Ken Follett. Retrieved 15 January 2016. ^ "Ken Follett | A Column of Fire". Retrieved 3 May 2017. ^ "Winter of the World, by Ken Follett". ^ "Follett rewrote this book after two translators had failed to produce a publishable version of the original French work. He has tried to keep it from being published under his name and disowns it entirely, entreating readers not to buy it". Archived from the original on 5 April 2006. Retrieved 1 April 2006. ^ Translation from original French version. Ken Follett: The Transformation of a Writer (ISBN 978-0879727987), written by Carlos Ramet. Popular Press, November 1990. Ken Follett and the Triumph of Suspense (ISBN 978-0786495986), written by Carlos Ramet. McFarland & Company, Inc., January 2015. Wikimedia Commons has media related to Ken Follett.